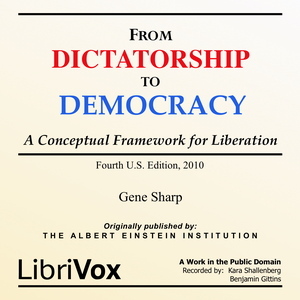 From Dictatorship to Democracy, A Conceptual Framework for Liberation is a book-length essay on the generic problem of how to destroy a dictatorship and to prevent the rise of a new one. The book was written in 1993 by Gene Sharp (b. 1928), a professor of political science at the University of Massachusetts. The book has been published in many countries worldwide and translated into more than 30 languages. Editions in many languages are also published by the Albert Einstein Institution of Boston, Massachusetts. This is the Fourth United States Edition, published in May 2010. The book has been circulated worldwide and cited repeatedly as influencing movements such as the Arab Spring of 2010–2012.